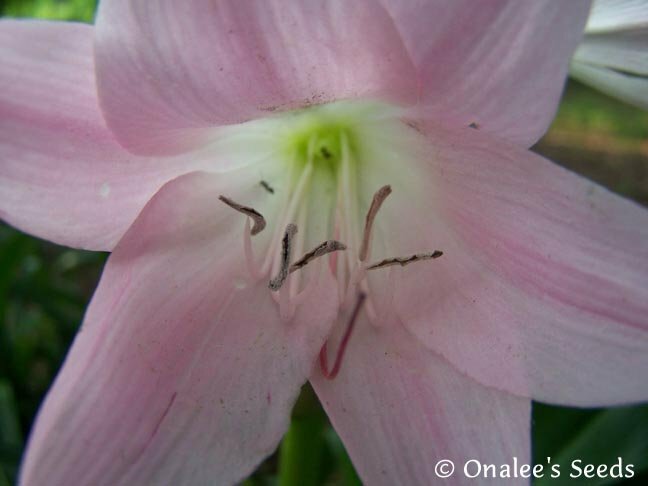 Crinum Lily: Cape Lily, Pass Along Pink, Light Pink Flowers, Southern Favorite! Choice of Bulb Sizes. Pass Along Pink or Cape Lily is an old fashioned southern favorite with pastel pink blooms in the summer that stand above the evergreen foilage, they're sure to become a favorite in your yard, too! Pass Along Pink Crinum Lily (aka: Cape Lily) (Crinum X powellii). Plants/Bulbs. 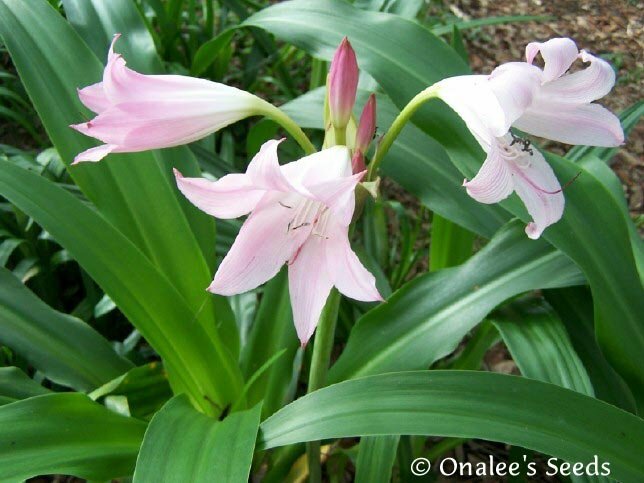 This old fashioned southern crinum lily is a low maintence plant that produces lovely light pink blooms about the size of an Easter Lily (or perhaps slightly smaller) that have the most wonderful fragrance! The bloom stalk stands about 15 - 20 inches above the abundant, evergreen foilage and holds several blooms at a time! These lilies are cold hardy to USDA zone 8 and grow very well to zone 11 in full sun or partial shade (I even have some in FULL SHADE here in zone 9 that seem to do fine!). These will produce several flower stalks during the warmer months with the majority of blooms coming in the early summer. According to the elderly lady that passed these along to me, these are so named due to their amazingly abundant production of babies. These will multiply by producing bulbs underground even before they start to bloom. Although I haven't timed it, my best estimate for how old these need to be before they bloom is between 3-5 years, depending on climate and care. FIVE (5) small bulbs. These range from 10 - 15 months old - they are between a large marble and a golf ball in size. They have been removed from the mother plant and been growing on their own for several months. THREE (3) Medium bulbs. These range from 18-24 months old - they are about the size of a tennis ball. ONE Blooming Size Bulb. These are generally the size of a baseball or larger and have bloomed in the past. Make your selection in the drop-down box at the top of the page. Planting and growing instructions are always included with all my items.